Meeting services at Airport Lombok, on the shuttle from Airport towards Sembalun Lawang village driving approximately 2 and half hours. Staying in hotel on the foot of Mount Rinjani, accommodation at Sembalun Lawang. twin share and breakfast include. 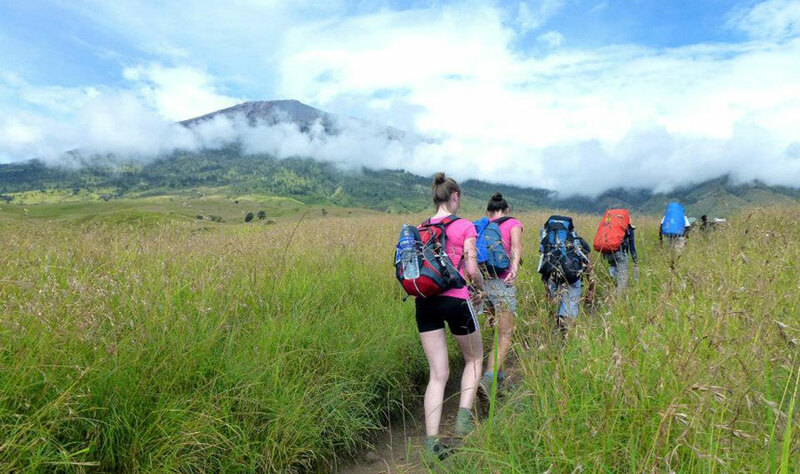 Start from your hotel 7 am then register at (Rinjani Trek Centre) just a few meters from your hotel, walking approximately two hours we arrived at the post I and rest for a few minutes later on the way to Savanna Grass Tall at Post 2 an altitude 1500m. Arrived around 13:00 pm, was in post 3, preparatory to cook for lunch which was presented by our guide and porter. 14:00 pm: after lunch we are dealing with a fairly high hill, about three hours of climbing we had reached the Plawangan Sembalun Crater Rim with 2639 meters altitude. 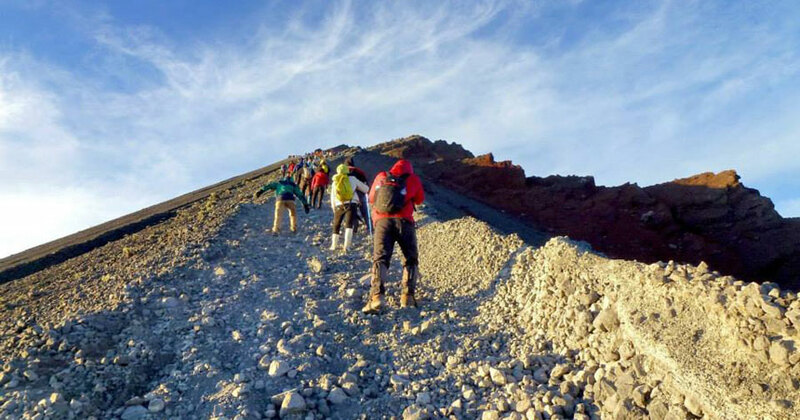 at 16:00, or 17:00 in the afternoon has arrived in the mid-body Plawangan Sembalun Mount Rinjani with altitude 2639 meter, we are in aid of porters set up tents and prepare dinner from our guide cuisine, overnight in tents. 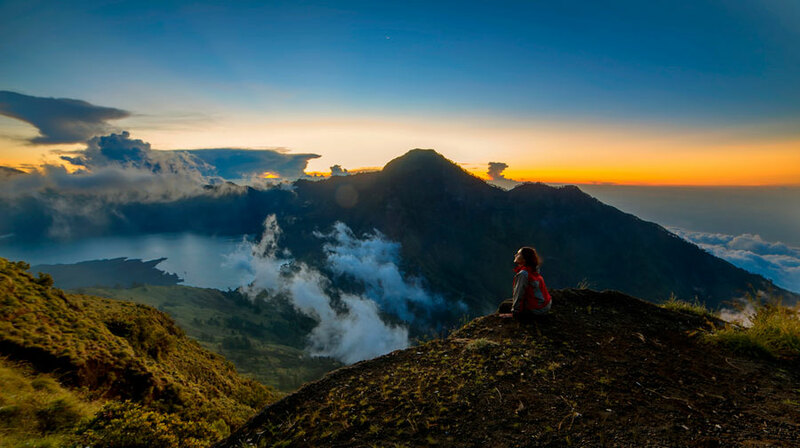 The ascent of mount Rinjani requires you to have a good level of fitness and ability to walk long distance. Person with mountain sickness or height phobia and also asthma are not allowed to join this tour. Individual or group departures are available upon request. We can customize any date based on request with minimum 2 persons in each group. There are two type of service to choose, Deluxe or Budget service. If you want to bring luggage to the personal items to Mount Rinjani by our porter then there is extra porters, additional cost extra porter fee is IDR 150,000 per porter per day, resulting in pay during a hike on Mount Rinjani 2 DAYS, quotation during the ascent of Mount Rinjani to IDR 300.000 per one porter. Load fit on the shoulders of porters fix 20 kilos, yes .. porter will follow you during the ascent of Mount Rinjani, payment is made after climbing activities and paid directly to the porter at Sembalun Village. 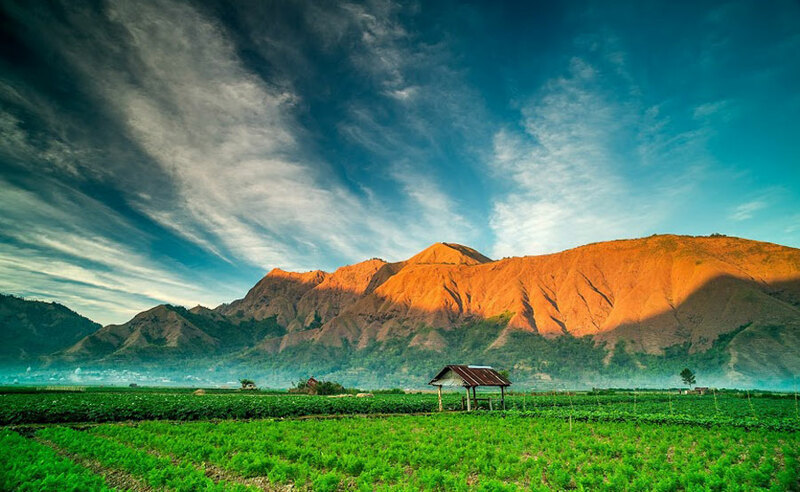 Preferably things that do not need to take it your bag to climb to Mount Rinjani like a snorkel, so items must be in packing before leaving the driver at the time of the first day we arrived in Sembalun it. Your luggage will be stored securely in locked warehouses Lembah Rinjani Hotel, after arriving in Sembalun climbing activity, your luggage will be taken back by our coordinators. It's the usual things we do with our guests. Please, give us detailed information of a certainty your flight name and time come to Lombok Airport also the hotel name after trekking mount Rinjani, please advise us the full name participants to help us monitor as a visitor to Mount Rinjani.